The luck of the Irish comes in full swing this Saint Patrick’s Day on Mongoose Casino and you will have a chance to indulge in some truly spectacular bonus rewards! This promotion will run from 15th of March 2019 UTC 00:00 till the 17th of March 2019 UTC 23:59. Celebrate St. Patrick’s Day on EmuCasino where each player stands a chance to earn 10% cashback up to £50 Cashback on Deposits. Cashback will be credited within 48 hours after the end of promotion on the 17th of March 2019 UTC 23:59. For every £10 deposited and wagered, players will get a 10% Cashback. Players are eligible for up to £50 Cashback. The accumulated deposit and wagering amount is only calculated for amounts within the promotional period (15th of March 2019 UTC 00:00 till the 17th of March 2019 UTC 23:59). Player will be credited with the Cashback Bonus within 48 hours after the promotion has ended on the 17th of March 2019 UTC 23:59. Any bets over the max bet amount will not contribute to the wagering requirement. Any bets over the max bet amount may increase the wagering requirements of the bonus. 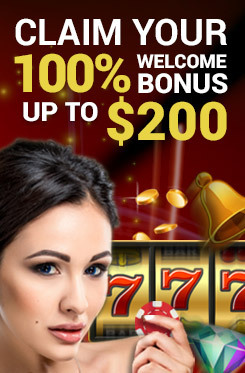 Cashback bonus is only applicable to Slots. It is not applicable to Jackpots, Virtual Sports and Live Casino. This offer is only available to players residing in New Zealand, Canada, Finland, and Norway.